Every Interest ligal canidate Name (Begali and English), Father's Name, Mother's Name, Permanent Address, Present Address, Self District, Date of Birth (Educational Qualification Certificate), Age on 30-11-2017, Nationality, Religious, Educational Qualification, Experience (if any). f. You must enter the name of the post on the envelope. North-West Power Generation Co. Ltd. authority will send you Admit Card by Post. Also you can visit update news at http://nwpgcl.org.bd/en/pages/jobs. North-West Power Generation Co. Ltd. authority will send you Admit Card, Exam Center and Location. Also you can visit update news at http://nwpgcl.org.bd/en/pages/jobs. 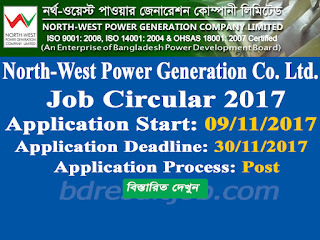 North-West Power Generation Co. Ltd. authority will published on Notice Board at http://nwpgcl.org.bd/en/pages/jobs/. 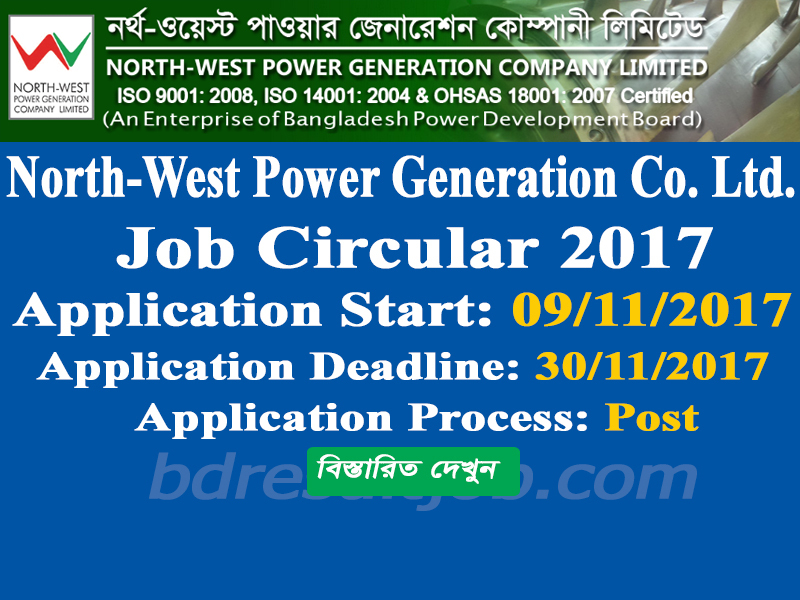 Tags: nwpgcl.org.bd, nwpgcl org bd, North-West Power Generation Co. Ltd. Fourman, Welder, Electrician, Fitter, Machinist and Attendent Job Circular 2017, North-West Power Generation Co. Ltd. Fourman, Welder, Electrician, Fitter, Machinist and Attendent Job Exam Result 2017, North-West Power Generation Co. Ltd. Fourman, Welder, Electrician, Fitter, Machinist and Attendent Job Seat Plan 2017, North-West Power Generation Co. Ltd. Fourman, Welder, Electrician, Fitter, Machinist and Attendent Job Admit Card 2017.